"The Swimmer. The Rebel. The Nerd. 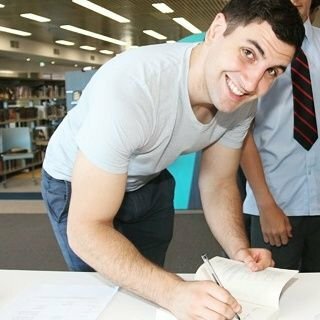 Will Kostakis, award-winning author of The First Third, perfectly depicts the pain and pleasure of this teenage world, piecing together three points of view with intricate splendour." I am so incredibly glad that I received this book (come to think of it, I've adored every book that The YA Chronicles have ever put in their boxes, so it's not too surprising!) because it was so truly touching and amazing, I’ll be recommending it to every person I meet who says they enjoy a contemporary YA novel. 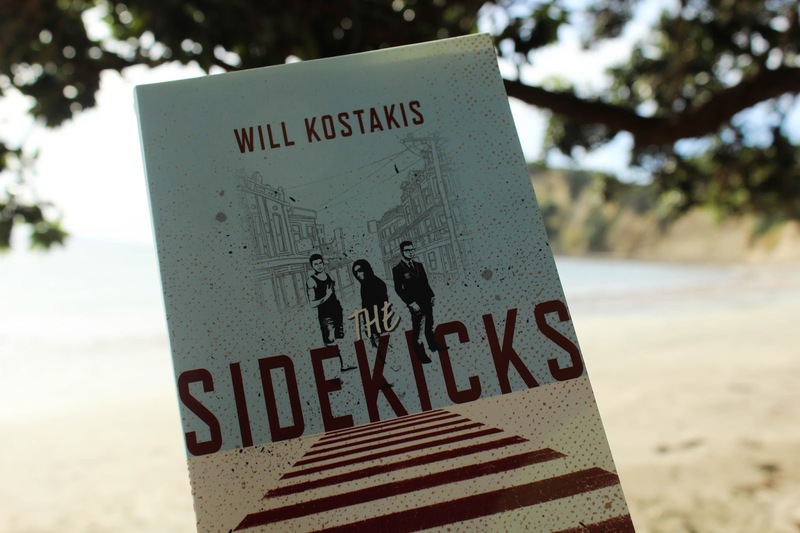 The Sidekicks follows the storylines of three boys who's friend passed away, all of which attend the same all-boys school in Australia. The book is split into three parts, rather than switching POVs every chapter or so, which is something that I really enjoyed about this book! I didn't get lost and have to check back and see who's point of view I was reading all the time. Each POV had it's own distinct sound or 'voice' and writing style, it was incredibly easy to follow and very interesting to read. The great thing about these boys is that they weren't friends with each other, they only had this mutual friend, Isaac, who is no longer around, and it was great to see how that effected them together and apart and how it ultimately made them see each other more clearly. I found that a strong element of The Sidekicks was its character development. We're first thrown into Ryan (The Swimmer)'s world, were we get first impressions of the two other boys within the story. Throughout the book, however, these first impressions are washed away and replaced with genuine ideas of what each character was like. Not only that, but in such a short book, to be able to have so much depth to the three boys is insane! Because each POV went slightly back in time before moving forward again (but focused on one character), I was still able to learn and see development for the other two characters, I didn't stop learning about them until the last page. While the book definitely has Isaac play an important role, The Sidekicks covers so much that I was honestly overwhelmed with emotions. This book was about the effect that losing a love one can have, but it was also about friendships, love, family relationships, sexuality, and it reduced me to a big sobbing mess. However, there are no unnecessary relationships that you'd expect from a YA book, it's all believable and... realistic. I cried more than once at acts of kindness within the pages of this book. In each POV we're introduced to the parent/s and it was refreshing to see that they were different, and not just the run of the mill YA parents that seem to pop up in every book. These characters influenced many of the main characters feelings and actions, and weren't just there because most teenagers usually live with their parents. I really don't want to write much more other than please read this book! It's an incredibly well written, heart-wrenching, and relatable story. I couldn't pick a favourite of the three boys if I tried! If you like contemporary novels and want to give something like this a go, then PLEASE add this to your TBR! I would never have guessed that I'd love this story as much as I do. I gave this book 5/5 stars (★★★★★) on Goodreads, but would give it 20 stars if I could. I'll be ordering another of his novels, The First Third, as soon as possible! In 2005, Will won Sydney Morning Herald Young Writer of the Year for a collection of short stories. I hope that you liked this review, I know it was short (and honestly, I get a bit self-conscious when I write a review... "Will they think what I'm saying is silly and has no point? ", "Am I using the correct terms and phrases? ", "Is my writing too simple? "), haha, but I hope that it convinces a few of you to pick up this book and give it a go. If you do, I really hope you see what I did in this amazing novel, make sure to tell me what you thought!